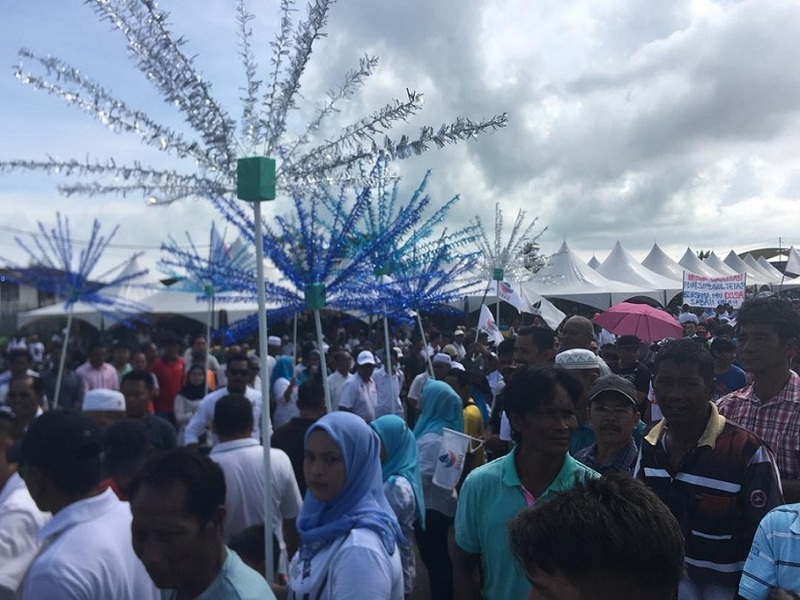 Thousands turned up at Kampung Sejati in Semporna on Thursday morning to hear Shafie Apdal speak, as the Parti Warisan Sabah president ended his statewide tour ahead of Nomination Day this Saturday. 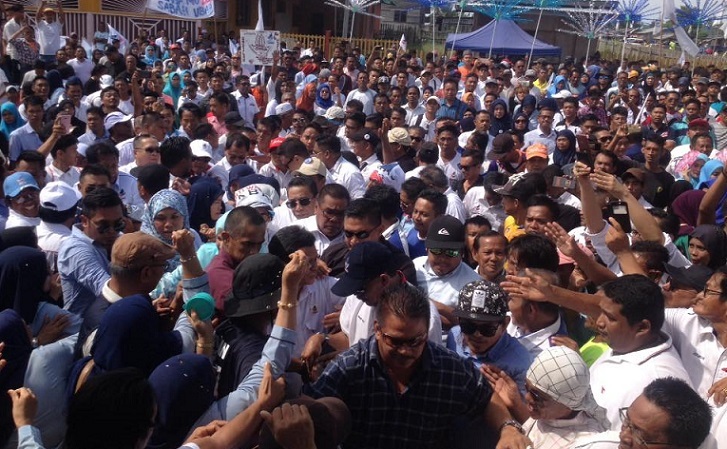 SEMPORNA: A home crowd of more than 10,000 waited patiently under the scorching morning sun in Kg Sejati to welcome the arrival of Parti Warisan Sabah president, Shafie Apdal just two days ahead of Nomination Day. 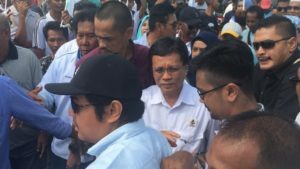 Shafie chose to make Semporna his final stop before campaigning starts on Saturday. He will defend his parliamentary seat of Semporna as well as contest in a State seat within that area on 9 May. 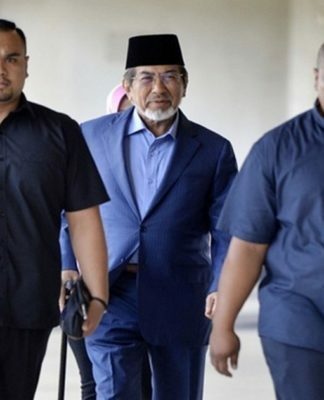 His main contender is the BN candidate of Semporna, Ramlee Marahaban, who has been one of his political critics since Shafie ditched Umno to form Parti Warisan Sabah in October 2016. 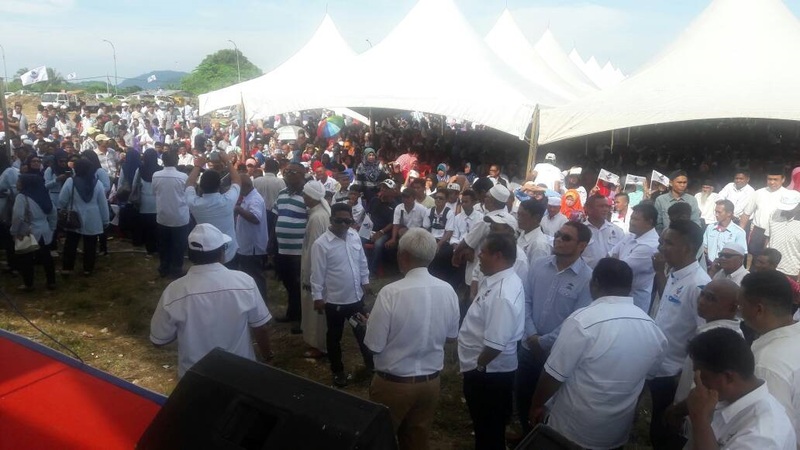 The highly responsive crowd cheered and applauded when their parliamentarian representative promised to abolish the unpopular GST and to create more jobs by setting up more downstream industries in Sabah. 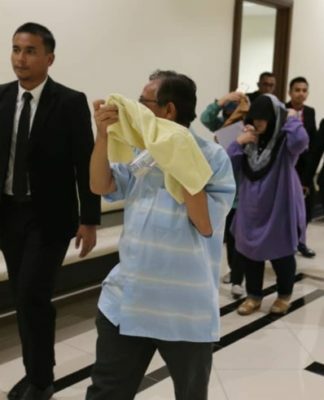 He reminded them they had nothing to fear by voting Warisan as the people hold the power in their hands. 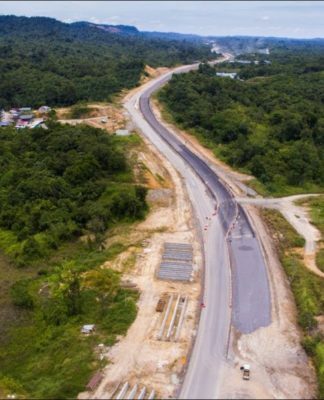 “It is you, the people, who hold the future of Sabah in your hands. 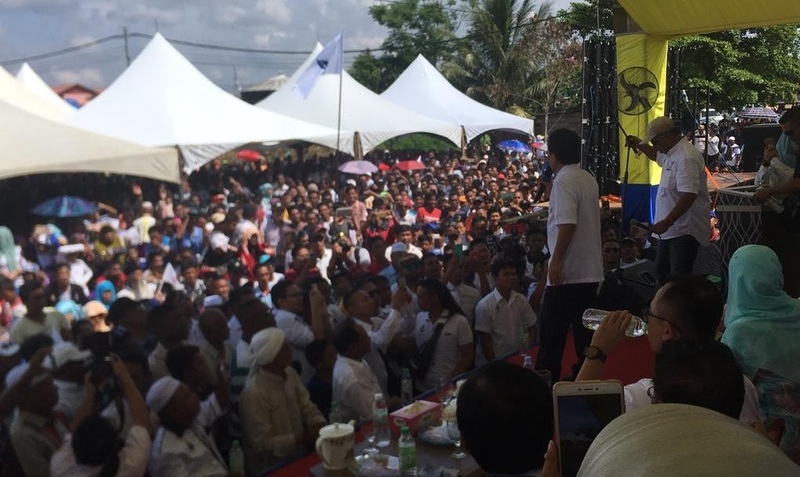 So vote wisely and whatever it is, don’t sell your vote!” he stressed to the crowd that was loudly cheering him on. Commenting on the Sabah BN Manifesto that was launched earlier today, Shafie said it was a dismal attempt to garner votes from Sabahans who have wisened up to their empty promises. “Proclaiming to safeguard the rights of Sabahans under the Malaysia Agreement of 1963 (MA63)? 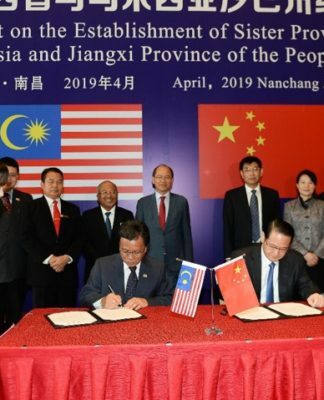 The glaring question is why did they not do it during 24 years of BN rule in Sabah? 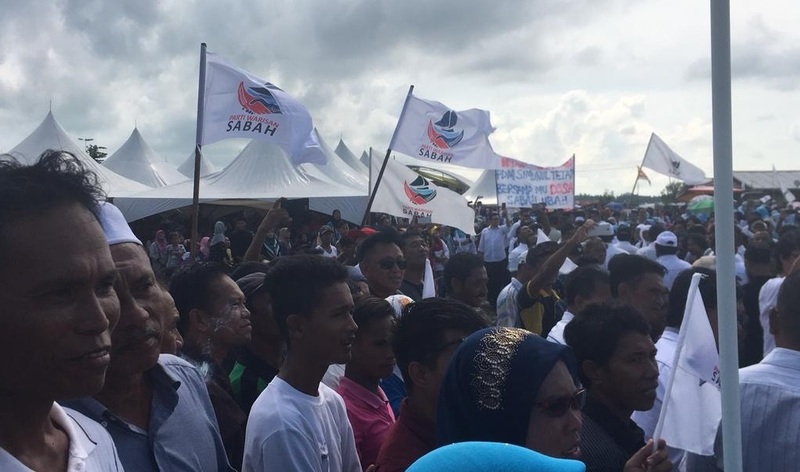 The manifesto he said offered nothing new to Sabahans but Parti Warisan Sabah held plenty of hope for change and a progressive Sabah that all Sabahans can be proud of.